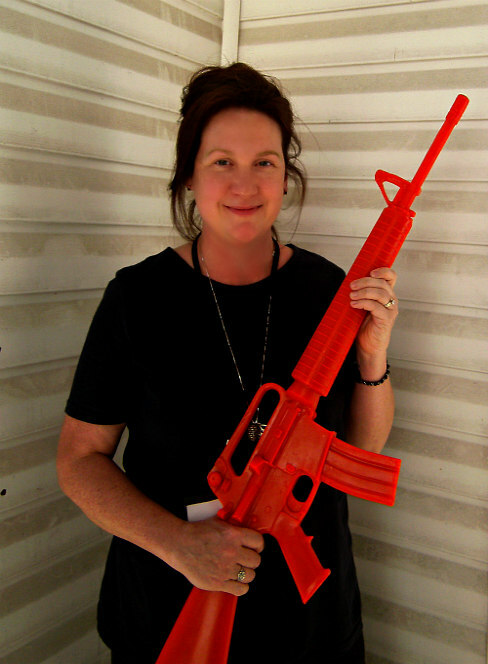 Susan Hilary won the Sense Creative Award in 2010, and the Fish Criminally Short Histories Prize in 2008. He fiction appears in The Fish Anthology, Smokelong Quarterly, The Best of Every Day Fiction I, II and III, and in the Crime Writers; Association anthology. MO Crimes of Practice. She was nominated for the Pushcart Prize in 2009 and Highly Commended in the Sean O’Faolain short story competition 2010. Sarah is currently working on a novel. He agent is Jane Gregory. I would like to thank The Short Review and Sarah Hillary for this thoughtful review. It’s flattering and humbling for one of my stories to be compared to Raymond Chandler’s work. It’s also wonderful to hear praise about voice, diversity and the opening paragraphs. Now, I like the “shlocky” cover. It was designed by Ginnie E. L. Fenton, known as Gin Elf, whose work is seen at Mysterial-E and on many book covers. I made decisions during its development and approved the final cover art. So my publisher is hereby officially off the hook and I am squarely wriggling on it. This was a new concept to me. I explored the idea with others and concluded that I clearly chose to write a personal book including intimate details about myself and my craft. I can understand a reader’s desire to imagine whatever he or she wants to imagine about the writer who created the stories. No doubt many readers imagine someone much more magical or mysterious than the actual author. When I attend a magic show I want to be amazed. I don’t want the magician to step to center stage after the finale and explain how misdirection, hours of practice and physics created the illusions. Given the particulars of this book I feel a closeness to many of the people I went out of the way to mention. I don’t know that wanted the usual distance between author and reader. However, Hillary did me a favor in pointing out how different the footnotes were from the stories. I will think carefully about what choices to make in the future. Which do you prefer as a reader and/or a writer mythic distance or more intimacy? I’m sorry I didn’t plan to participate in more than one conference this year. I’ve always enjoyed the conferences and long workshops I attended. Several years ago, I took the bus that runs between Boston’s Chinatown and New York’s Chinatown to attend a MWA Edgar Symposium. The fare was only ten dollars but these buses have been known to crash and burn, and I couldn’t park near the bus terminals. I stayed in an unpretentious New York hotel with rooms the size of dog crates and showers designed for the underweight. The food at the expensive Symposium banquet was boring and ended with a chocolate dessert guaranteed to send a diabetic into an instant coma. I carried heavy bags of free books on the New York subway, onto the bus, and for the mile walk from the station nearest my home. Nevertheless, I had fun at the Symposium and learned much. Michael Connolly described how, after his first book was published, he thought he’d been invited to the party and all he had to do was stand around with his drink in his hand. Soon, he realized he had to do much more to make a career from his writing. Lisa Scottoline decided to give up being a lawyer and try to make it as a writer. She and her small daughter had to live on credit cards. Since these cards were not accepted by McDonalds at that time, she and her daughter had to eat at more formal restaurants. When Lisa finally had enough money to take her daughter to McDonalds, the child didn’t understand the menu and wanted to know what the appetizers were. On different occasions, Robert Parker and Lee Child were guests of honor at the Crimebake Conference. The first agent to receive the first manuscript Robert Parker submitted for publication took him on as a client. Lee Child strives not to revise but to get it right first time. He amended this statement to say he reviews what he wrote the previous day before he continues. He worked for a TV production company and had to fit scenes to the second into time slots. Although he left that job, he still has an acute sense of time. Harlan Coben mentioned that he’d never known a successful author who’d put others down to further his/her own career. All the authors whose ideas I noted discussed much more and I don’t know anyone who was bored by their discussions of their writing process. The workshop I attended wasn’t mystery specific but I believe literary writers are just as interested in craft as genre writers. Also, no one objected to me writing mysteries. The workshop was on Cape Cod but I didn’t have time for beach walking because students had a daily assignment. Writers shared space and time with artists and sculptors. The experience stretched the mind. I hesitated to attend conferences a thousand or more miles away from where I live. However, I note members of Sisters in Crime arrange to meet up with other members at these conferences. Hopefully, I wouldn’t have to spend time alone in a hotel room. I avoid workshops where sharing bedroom and bathroom is part of the socializing experience. As a kid, at boarding school, in my first apartment, and as a wife and mother, I shared bedroom and bathroom. Now I want my own space. There are still plenty of conferences and workshops to enjoy and next year I plan to attend more than one. Do you have a favorite conference? 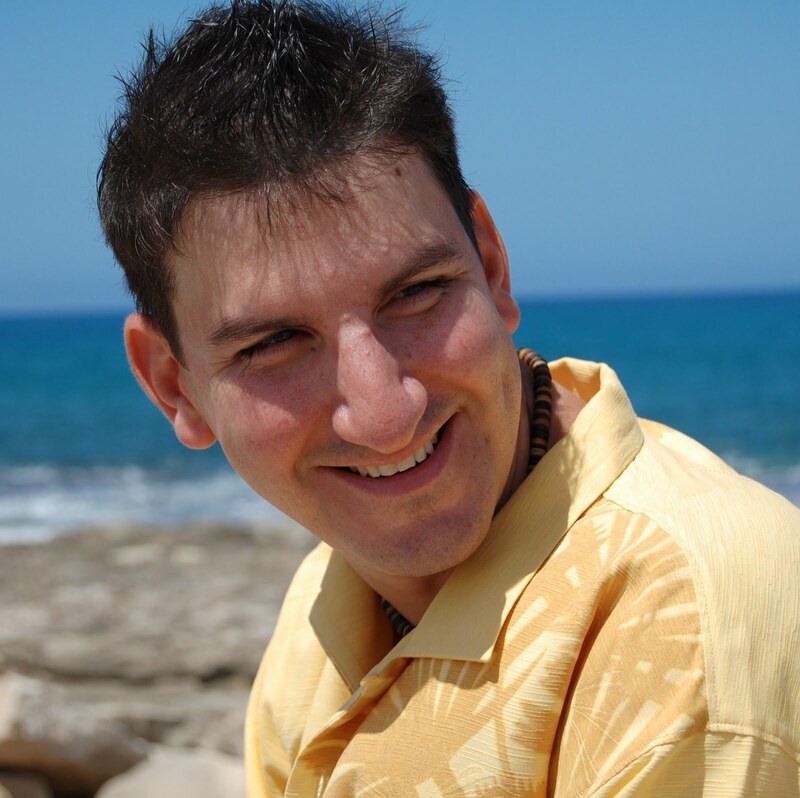 I am a 35-year-old former New York City criminal defense attorney, who now lives with his wife Jill and 18-month-old son Jack in Hawaii. I enjoy swimming, snorkeling, kayaking, and anything else that involves being in the ocean. 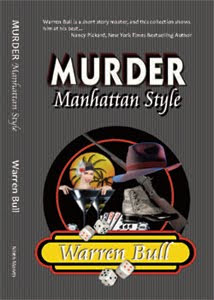 My debut novel One Man's Paradise won the 2009 Minotaur Books/Mystery Writers of America First Crime Novel Award. Night On Fire, which will be released on April 26, 2011, is the second novel in the Kevin Corvelli crime series. Do you want to give us a brief description about your latest book? 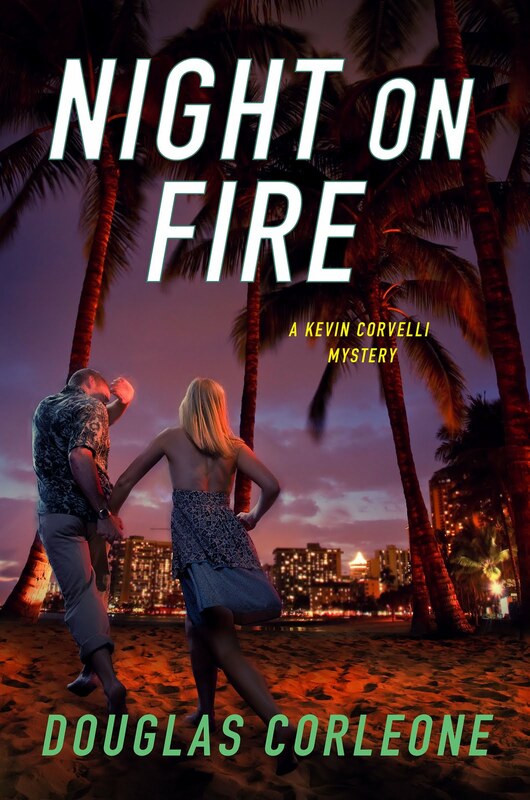 In Night On Fire, hotshot Honolulu defense attorney Kevin Corvelli narrowly escapes a deadly arson fire at a popular Hawaiian beach resort, only to land the prime suspect - a stunning but troubled young newlywed - as a client. You have an impressive webpage and book trailer. Has that increased interest in your books? Is there some way to measure its effectiveness? It's difficult to know what works in terms of promotion. Having a website these days is essential, and I'm fortunate in that I've received significant positive feedback from the readers of One Man's Paradise through my site. That goes a long way in boosting a writer's confidence. I'm not a tax lawyer, but I believe to some extent you can. Save your receipts and if the IRS comes knocking, blame your accountant. (I'm just kidding.) But of course, you can stay at my house...as long as you don't mind sharing a room with a toddler. You maintained a steady pace throughout the book (no middle chapter sag) how did you manage to keep the energy flowing so well? I attempt to write the second act of my novels with the same energy of my first. I don't like to read novels that sag in the middle, so I do everything possible to avoid writing them. In Night On Fire, part 2 marks the beginning of Kevin Corvelli's own investigation into the fire and there's a lot going on - a visit to the devastated crime scene, the gathering of witness statements, the searching for suspects - so maintaining the energy wasn't as difficult a task as it might have been if I'd written a different kind of story. How does your background as a defense attorney help you with your writing? My background as a defense attorney helps considerably in writing the Kevin Corvelli legal thrillers. I still need to research the laws and procedures of Hawaii since I never practiced in this state, but my training and experience aids me in getting that research done efficiently. And, of course, I have many memories from my days in the courtrooms of New York City from which to draw. Would dressing nice while writing make you a better writer? I just read this article that says how you dress can affect your writing. That means I’m doomed. male, would you sit all day long in a suit and tie—gads how do men stand those ties? In comes your dog. He jumps at you and rips your pantyhose. Does anyone even wear them anymore? a pair of fur pants. properly. You’ll want to impress them. But why bother impressing the animals? the wrong files and then can’t find it later, like for the next year or so. off. Last year they took up eating my screens. I would've thought that would've killed them. It didn't. I simply have big holes covered by bricks on my screened in porch. asking him to take it down so it doesn’t interfere with your muse. you’re sick, it’ll make you heal faster. Tell me, what is your office like? Neat? Messy? Warning: BSP or How I Know I've "Made It"
Once published, authors face the dilemma of promoting their work. Where do they do this and how? Most use the Internet and its places of social networking like Twitter and Facebook, but they also use discussion groups, usually composed of other writers because “word of mouth” sells books. Blatant self-promotion (BSP) is a hard task for writers, who, like me, generally spend their time alone writing. Being a “ham” just doesn’t come naturally because many writers are introverts and, after years of criticism, they stumble when speaking too loudly about their work, knowing the standards are high. Self-promotion is even more daunting when there are complaints on discussion groups about too much BSP. If even your compatriots don’t want to hear it, why would anyone else? I try to be shameless. It isn’t easy after being raised in an environment where promoting yourself was considered conceit. But I’ve also learned that if you don’t believe in yourself, no one else will. (Except, perhaps for your family and friends, if you’re fortunate) The SinC Chesapeake Chapter recently informed me that it had accepted one of my short stories, “Lucky in Death” for publication. The anthology, Chesapeake Crimes: This Job is Murder, will be published in 2012. As a blogger, I read other blogs. 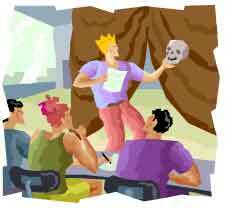 One writer discussed various ways in which he knew that he had “made it” as a writer. I don’t hit the bull’s eye of high standards every time. But after seeing the other authors included in the Chesapeake Chapter’s anthology, I knew that “Lucky in Death” hit the bull’s eye. I had “made it.” Why? 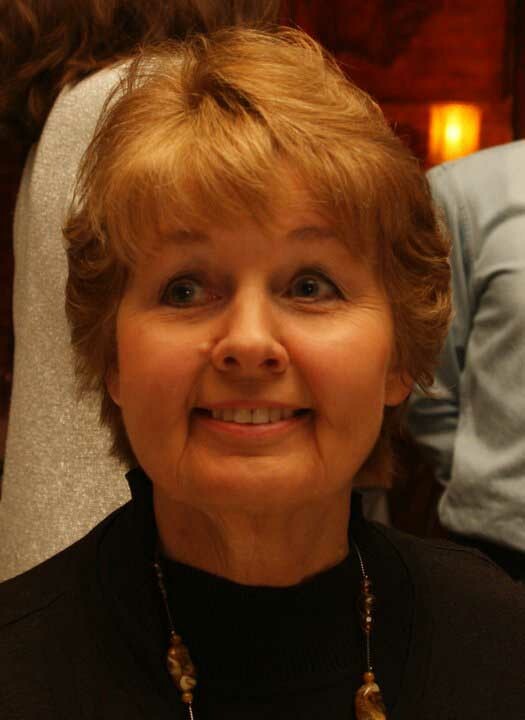 • Mystery novelist, Cathy Wiley. I don’t know the other seven writers in the volume. But I do know that twenty-eight talented writers competed for fourteen spots in this anthology. Three judges, all popular published authors, agreed on those stories included. I’m proud to have a story in this anthology amongst such illustrious authors. Every now and then, I pull the brass ring. I’m savoring this honor so that when rejections arrive for other projects, I’ll remember. more in this blog on 18/08/10 and 11/12/10. One day we went out in the field to shoot at an embedded foxhole. We shot from across a railroad embankment. I was one of the better shots in the company with a rifle grenade so I think that’s why I got the assignment. I don’t know if we did any damage. When we started to return somebody said, “ Hey, look. We’re in a mine field.” I looked and there were little wires sticking up. The mines were called, “Bouncing Betties.” When set off, they would jump up two or three feet and then explode. The idea was to kill or wound as many men as possible. In our minds we could feel the mines exploding into our private parts. We were already scared but I said, “Follow me.” I walked very slowly and carefully. The squad members were content to stay behind me. One man was wounded by a mine when he stepped out of line. Later he died. When we got back to my company they made a big deal out of me getting the men out of the minefield. I was regarded as a hero, but I should have been criticized for taking them in, in the first place. 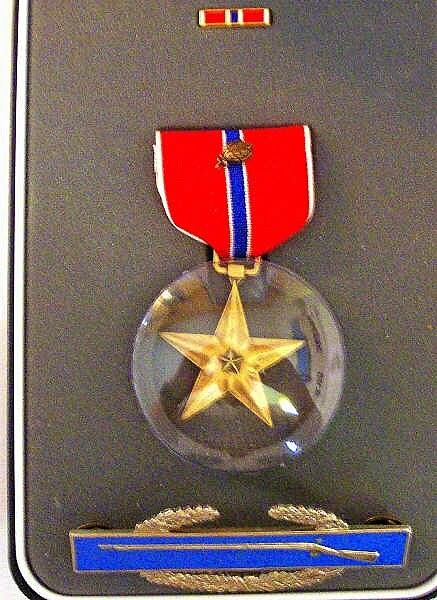 About a week later a fellow from headquarters showed up and said, “I’ve got a bronze star for you.” I said, “Thank you. What is it for?” He told me it was for getting the men out of the minefield. There was no way I could refuse, but I knew I didn’t really deserve it. I think the company had medals to give out and were looking for any excuse to award one to somebody. They should have given me criticism for getting the men into the minefield in the first place. That’s what the bronze star amounted to. For this part of the memoir, I did a few line edits and got out of the way of my father telling his story. I’ve witnessed his attitude about earning a medal and being considered a hero in other members of his Division. When called a hero the universal answer is, “I am not a hero. The real heroes never came home.” He maintained the many outstanding acts of bravery were not witnessed and that getting a medal was based on someone seeing the act and pushing the paperwork. “who gave their all for their country.” He credited his medal to somebody else filling out forms and talking to other people, not to his own actions. 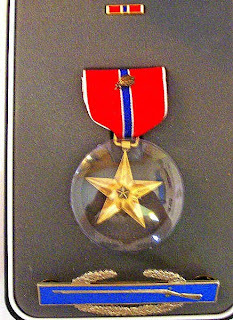 His award was for repeatedly charging into enemy fire to save other solders despite being shot twice. He was considered extremely brave in the face of almost certain death. The Staff Sergeant maintained that he was never in a firefight without others in his unit supporting him. He said he accepted the medal on behalf of all who have served their country. What does “heroism” mean to you? Around 3 a.m., my brain urged me to rise and continue research. Writing is learning. There’s the knowledge that comes from tapping into the right side of the brain. I believe the pleasure a reader experiences from reading a fine piece of writing comes from an author’s successful capture in words of right brain information. I’m grateful to the authors who share that information. I’ve seen a similar knowledge in individuals who spend their whole lives in one place, growing up, raising a family, and accepting the changes of aging. Even if these individuals never write a word about what they’ve learned, their relationships and interactions with others show that their learning has been profound. A writer needs to work hard to capture these multi-faceted characters. So many techniques, so little time. 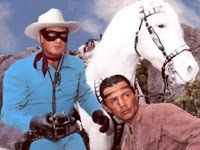 The generous sharing of authors at workshops and conferences convinces me I’ll never catch up with all I need to know. Besides techniques, mystery writers might seek to understand serial killers, terrorists, hit men, and impulse killers. What about means, modes, and motivations? How does a corpse deteriorate over time? Now, I’m focusing on the police, their techniques and language. Every profession and trade has its own language. That’s certainly true of medicine and nursing. I believe a writer must capture the flavor of such language. So much to learn and I despair of catching up. I have to set limits. The law doesn’t interest me. I enjoy books by John Grisham and Lisa Scottoline but I don’t want to spend time looking into the law. Bertrand Russell said that even if a person was an atheist, in the West that person would need to live in accordance with Judaic-Christian beliefs. Once individuals reach adulthood, I think they have a sixth sense about what’s illegal. Unless they intend to embark on a life of crime and, even then, their motivation could be defiance of what they know to be legal. Writers might be drawn to history or cultures and ethnic groups different from their own. Learning a new culture enables a person to ask questions about her first culture. I spent my earliest years in the UK. Why did Queen Elizabeth I play off one suitor against another? She’s not around to ask but possibly her strategy didn’t stem from women’s liberation. By not choosing a husband from among the Spanish royal suitor, the French royal suitor, or powerful men at her court, she gained time for England to gather strength to defend itself against a Spanish or French invasion or against powerful home politicians who wanted to be king. It isn’t easy to develop a power base. It requires patience and self-sacrifice. Or her motivation could have been more personal. Her father beheaded her mother, and slashed and burned his way through six wives, not a happy model for marriage and motherhood. When I lived in Boston, Massachusetts, I met people from a variety of backgrounds. I’m grateful to co-workers and neighbors who shared their goals and memories with me. Recent wars have focused attention on non-western cultures. Contrasts and similarities to our own might increase our understanding of American history and of why people in America today do what they do. So much to learn, so little time. I need to focus on writing techniques and the language of law enforcement. 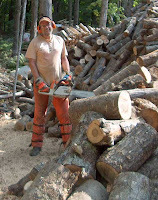 Tomorrow, I might want to follow the life of a mill worker or a farmer. Where has your writing taken you, to what place and time? someone we’ve met in real life by making them a character no one will like. the pain of getting rejections, the thrill of a sale or struggling with a manuscript. have a family that could drive a saint crazy. Well, she would if she could speak back to me. Right? 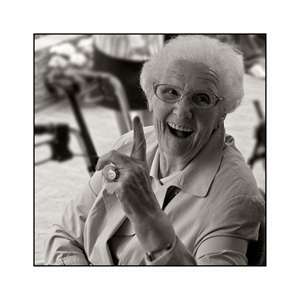 And what about that crazy Hazel who thinks she’s still young and the men should take her on dates. Poor thing. Hmmm. Wonder if Uncle Freddy would enjoy her company. Oh, wait, he’s for real. our writing life. Some of us have to get up at 5 or 6 a.m. and head off to work. We come home tired. running so I don’t find rotten tomatoes being tossed at me through the computer screen. to my dogs. And I guess with all those folks running through my head, I still have imaginary friends. all the time. And I dream a lot. share their thoughts all over the world. A call from my college-attending and bummed-out daughter reminds me of how timing plays in life. She found herself odd woman out at a party. While all of those college students around her coupled, in a crowd, she stood alone. I passed on words of wisdom to her, my own mother’s words resounding in my head, to make her feel better. “Timing is important in life.” Space and time are connected. If your timing is off, you’re in the wrong place, probably doing the wrong thing. Put your focus somewhere else and do something else to see if your timing changes—hopefully for the better. We can’t change time, but we can alter where we are and how we use that time. That’s also good advice in writing novels. If your timing is off, change the setting or the action—timing adjusts. Timing also changes with a writer’s choice of POV. I often write in third person because I want to show simultaneous events, which I can do by heading a new chapter with a different character’s voice. When the characters finally do meet up in time and space, the reader knows how each of them got to that point in the plot. The characters’ separate fractions add up to a whole, which I think is realistic, given that individuals focus on one aspect, following their own logic and interest. First person POV limits time to that of the main character. In mystery, the reader anticipates that justice will prevail while watching or reading. That feeling of anticipation, produced by the writer, is what defines pacing. The main character’s (s’) interaction in the plot and its culmination defines timing—in many TV shows and books that karmic split-second timing. HEA or JP is a great way to finish. But like a TV show or in a book series, the formula becomes anticlimactic. For a writer, this is a double-edged sword. We want our readers to believe in our hero and champion our protagonist. But isn’t it all so predictable and boring to write the same ending repetitively? I suspect that although anticlimactic, this is one aspect of books or TV shows that audiences like, and is probably the reason that romance and mystery are popular. Those HEA and JP endings reassure those whose lives are less than predictable. And really, doesn’t that include everyone? They’re what readers want, and what a writer needs to give to them for marketability. So how does a writer pace a novel with mounting tension and create a HEA or JP endings without writing a formula novel? Consider Spencer Quinn’s main character, Chet, the dog partner of PI Bernie. Chet relies on his senses eventually helping Bernie get the bad guy. But Chet can’t put one and one together well or too soon, so Quinn creates diversions to pace the action. Chet sees the knife, he smells the blood, smells traces of the perp on the knife, he knows that a big revelation is about to occur in his brain, one the reader has already figured out—but, out of the corner of his nose he smells—a Slim Jim! All logic goes out of his head until later in the book when the smells come to him again, when the plot thickens, tension mounts, no diversions are evident, and he helps Bernie wrap up the case. Quinn’s diversion, as simple as a Slim Jim, prolongs the action, spreads out the pacing for a timely finish. Marilyn Alt’s main character Maggie, in her Bewitching Series, breaks her ankle. The broken ankle has become a plot device she uses, so far, in two books, lengthening her pace, as we hobble along. What does it accomplish? Rather than rely on her body, Maggie develops more of her witchy powers, forces her to rely on a newly formed love relationship, and depends on friendships pulling secondary characters into the plot. Maggie also finds that although she thought her timing was horrible, it’s not. Alt brings the idea of timing full circle. In Snow Falling on Cedars, David Guterson uses snow as a character, which paces the book like silent and steadily falling snow, masking truth as it covers the ground. While the main character remembers and reveals the truth, the snow melts. “Real” elements of geographic coordinates, winds and tides become the “timing,” upon which the main character solves the murder. The author’s literal use of timing becomes figurative. My book, TOASTING FEAR, relies on split-second timing at the end. But I won’t reveal why this timing will dismay my characters, even when they do solve the murder. Sometimes great timing isn’t all it’s cracked-up to be. How have you paced your books? Does timing play a factor in how you structure your novel? Have you chosen your POV utilizing what each has to offer in the pace and timing of your plot? Do you use devices to change pace? Last week’s post discussed the pressures on the publication industry that have and will continue to cause massive dislocations in the traditional model. This week provides my sense of what the future will bring. The objective of the publishing industry in its entirety is to provide consumers (those who read) with words they want to read in a form they want to read it. Although I expect paper and ink books will continue to represent significant revenue, digital sales will explode. Eventually physical books will be to digital books as horse and buggies are to automobiles: a niche market. The music industry is already heading this way with revenue from digital sales expected to surpass revenue from CDs in 2012. To try to understand the future publishing world, let’s temporarily stipulate that all sales must be electronic; paper and ink are gone. So: no bookstores, no presses, no warehouses, no book returns, no shipping costs, no waiting for the mail, no wrapped presents with pretty bows under the Christmas tree. This does not necessarily mean the elimination of all publishers. Between the author’s “final” draft and what the consumer reads we will still need editors, copy editors, layout, conversion to required electronic formats if a single platform does not arise, and “cover” design (a picture to help electronically sell the book). Traditional publishers have the resources to do all this work, but an author need not choose a publisher. Alternatives? An author could hire each provider separately for a fixed fee. Genre boutiques providing bundled services could form, specializing in, say, mysteries or steam punk. Such boutiques would not need to be in a single physical location since they share work electronically. Perhaps literary agencies will contract or provide those services for their authors—forcing changes in Association of Author’s Representatives acceptable practices. How will consumers learn about new books? I’ll coin a new term here: friend-perts. Historically, we relied on expert reviewers in newspapers or weekly periodicals to make recommendations, or we used the physical bookstore with knowledgeable salespeople. We are now moving into the social media arena of friend-perts. Amazon already does this with its if-you-like-this-you-might-like-that recommendations, and its people-who-bought-this-also-bought-that. Amazon allows people to post lists with their recommendations. Facebook, Twitter and similar social networking mechanisms will offer close encounters of the electronic kind for your friend-perts to share information. Already websites that sell just about everything post ubiquitous “reviews” of their products and provide the ability for other users to rate how useful the review was. Many of these friend-perts are amateurs; others are paid shills. It is difficult for consumers to tell which is which, but over time “trusted” voices will emerge. Consider the effect Oprah had whenever she recommended a book. 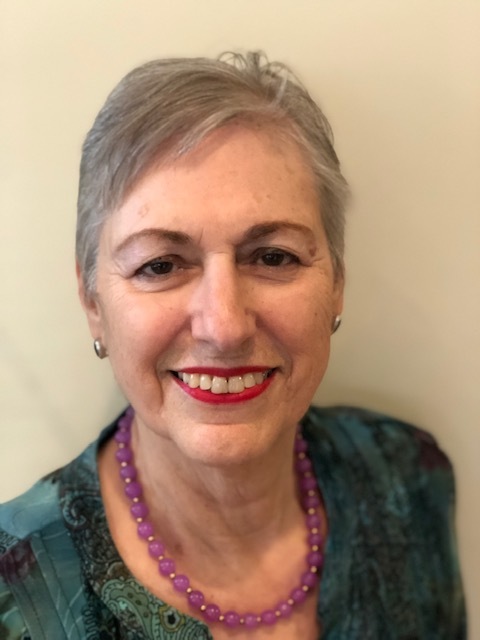 I don’t want to diminish all the things literary agents can do to help authors and their careers, but from an unpublished author’s perspective, literary agents are first line gate-keepers for the publishers. When internet booking of travel became prevalent, travel agents did not go out of business, but they no longer had much business just booking a flight from X to Y. They needed to switch to value added services; so too will literary agents. If there are no publishers, literary agents will need to turn into career counselors to justify payment—and that probably should be fee based rather than percentage of revenue based. All this brings us back to the creator of content, the author. Three items are still critical to authors. They must write. They must find a way to entice readers to read their words. They must be paid for their efforts. In the conversation between Joe Konrath and Barry Eisler, Joe told Barry he would need to write more. I think Joe is right. To make money, authors will need to have works available and the 80/20 “rule” in business will probably come into play. That rule suggests that 80% of your profits will come from 20% of your customers. But to do that, you must have multiple products a customer can buy. You must write a lot. Writing time conflicts with objective number two, enticing readers to read your words rather than someone else’s. Somehow authors will need to become known so friend-perts can recommend them. For nonfiction this is called having a platform. With the demise of publishers, fiction authors will need to develop their own platform. Many people have written on this subject, so I will only add that this trend is not a pendulum authors can wait out until the trend reverses. Self-promotion is here to stay. All of which leaves the subject of the author being paid—the reason why Barry Eisler turned down the half million bucks St. Martin’s Press offered. Most authors have funded their own R&D and will continue to. From an author’s economics perspective all revenue from the author’s content should go to the author, less the expenses of getting product to the consumer. Those who provide services along the way to publication should be appropriately compensated including a profit margin commensurate to their risk. If an author chooses to shed some of his financial risk, he can enter into agreements to sell off shares of a book (or even shares of himself) – that is essentially what the author does in a traditional publishing contract. Will the cream rise to the top in this brave new world? That depends on what you call cream. People will buy what they like. Was Shakespeare the best playwright of his time? I have no idea because by the time I got to high school he was the only one left standing as far as my teachers were concerned, and although I might have sworn differently, none of them had direct experience with Elizabethan playwrights either. Did you know Shakespeare and his players physically helped build the Globe? Whether or not Shakespeare was the best playwright of his time, I suspect he was the best entrepreneurial playwright of his time. Of course we still have physical books, and publishers and thriving literary agencies. Following the old ways when the rules are all changing may work for a bit; but much sooner than later, those who figure out the new paradigm are the ones who will succeed. As an author I admit that I live through my characters. They kill people who annoy them (or me.) They make snappy retorts that I can rarely come up with in a time to put someone in his or her place. They are sexier and more dangerous than I have ever been. Okay I can live with that. I tried writing about myself and became so bored that I fell asleep over the keyboard, well…almost. But where is it written that my books should have a better time than I am? Item one: A new copy of my out of print novel, Abraham Lincoln for the Defense is on sale from a used bookseller for more than a hundred dollars. I don’t get paid that much per page. Why should a bookseller who didn’t scribble a word or take a risk in publishing an unknown author get that much money? Item two: Fish Tales: The Guppy Anthology http://www.wildsidebooks.com/Fish-Tales-The-Guppy-Anthology-edited-by-Ramona-DeFelice-Long-trade-pb_p_7754.html has been in the top 25 selling books of its type according to Amazon.com which has developed a formula designed to drive authors insane. It is based in part in recent sales, tide charts and fillet of a fenny snake. I was the bestselling author in Green Valley, Arizona for one day when my mom called in favors from all her friends in her retirement community. My sales among the over seventy-five crowd were stellar. With that sole exception my books are more popular than I am. So, if you could get away scot free, what has one of your characters done that you would really love to do? Many, many years ago, when I was young, when hot spots were places in the South and I could walk through space without being bombarded by radio waves, I’d find a small corner and dive into my favorite book. In that faraway time, the problem wasn’t to make kids exercise but to make them stay still. No one bothered the kid who could be seen but not heard. Even though some books I read had as many as eight hundred pages, I was still sorry when the story ended and I had to leave the imaginary world. I heard some adults say reading fiction was a waste of time and filled a young person’s head with silly ideas. Luckily, my parents were happy that I was easily and cheaply entertained. I borrowed most of my books from the library. At least twice a week, I’d walk the three miles there and back for my stories and to pick up my grandma’s “love stories.” That was what she called romances. Not only did I exercise but the weight of the books developed upper body strength. I didn’t read short stories until I was in high school. Unusual characters and dramatic endings intrigued me but I felt cheated that my retreat from the real world was so short. Later, I came to appreciate the short story and joined a critique group to practice this art form. It was a challenge and I was amazed at the variety of characters and situations members of the critique group produced each week. Then I heard the underground message that short stories were going out of vogue. Magazines no longer wanted to publish them. Only writers who produced novels could expect to develop a readership. Despite the negative publicity, the short story didn’t die. 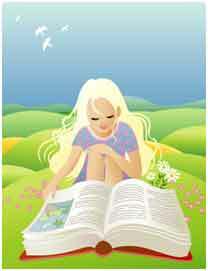 Now, anthologies and e-zines provide outlets for all kinds of short fiction. More and more Guppies are BSPing the publication of a short work. I’ve read short story collections by Kaye George and Warren, each story a fresh experience. Level Best Books publishes a collection of short stories every year by New England authors or stories set in New England and I look forward to buying my copy at New England Crimebake. Every year, I purchase The Best American Mystery Stories. Lee Child was the editor in 2010. Short stories suit the pace of life today. I don’t see many of the eight hundred pagers I used to read but I still enjoy the anticipation of starting a novel. Sometimes I simply prefer a gourmet snack to a three course meal. Do you have the titles of any especially good stories to share? 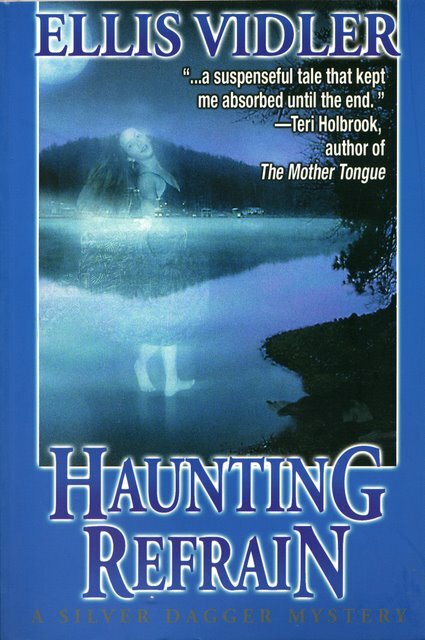 EBD: I read Haunting Refrain, published by Silver Dagger Mysteries in 2002, and loved it. I’m surprised that you didn’t continue it as a series since the protagonist and secondary characters were memorable. Did you always envision it as a one-off book, or is there a story there? 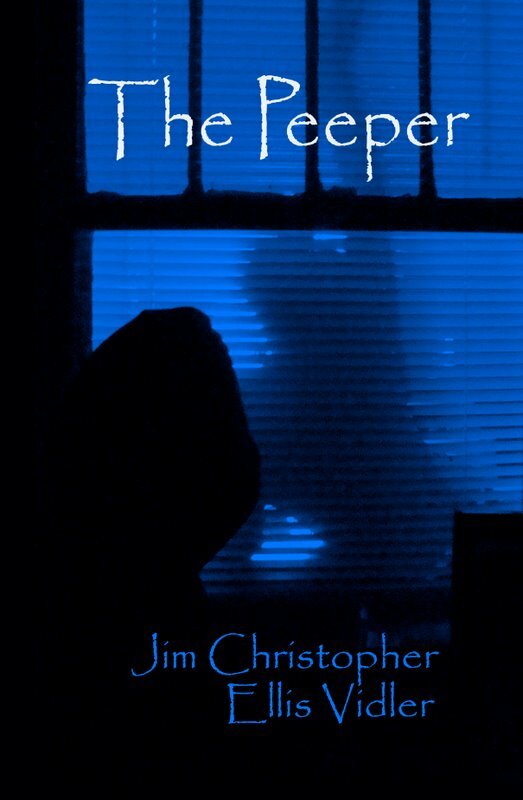 EBD: Your next novel, The Peeper, doesn’t seem to have publisher information. Who published it? EV: We published it through Amazon’s Createspace and Kindle. The lengthy wait between finding an agent and getting it published didn’t work in our circumstances. EBD: Did the book take eight years to write? EV: Haunting Refrain did, but not The Peeper. It went very fast with the two of us brainstorming and writing. EBD: How did you meet Jim Christopher, and why did you decide to write with a partner? EV: He’s a retired SLED officer, and he came to speak to our Sisters in Crime group. He’s a great storyteller. He said he had an idea for a book and would I be interested in collaborating. Absolutely! EBD: Was it fun to write with a partner? Do you plan to write more books with him or other partners? EV: Writing with Chris was a terrific experience. I loved every minute of it. He doesn’t sit and wonder what’s next or have doubts, he just forges ahead. He’d say, okay, it’s slowing down here, we need some action. We’d talk over ideas, decide what worked, and what the police would do next. That’s how it went. EBD: Do you plan to write a sequel to The Peeper? EV: No, we don’t, but Chris has a book coming out in the next few months, and so do I.
EBD: Both of your books are set in a small South Carolina town. Are the settings based on your own home town? EV: The Peeper was loosely based on one of Chris’s cases and he had the setting. Haunting Refrain was in Greenville because I knew the area. In both books, some streets and stores or restaurants are fictitious, but we tried to make them fit the actual area. The college in TP isn’t the real one and the name of the town is fictitious, but it’s similar to the one where Chris investigated the murder. EBD: Every writer approaches solving the mystery in a different way. 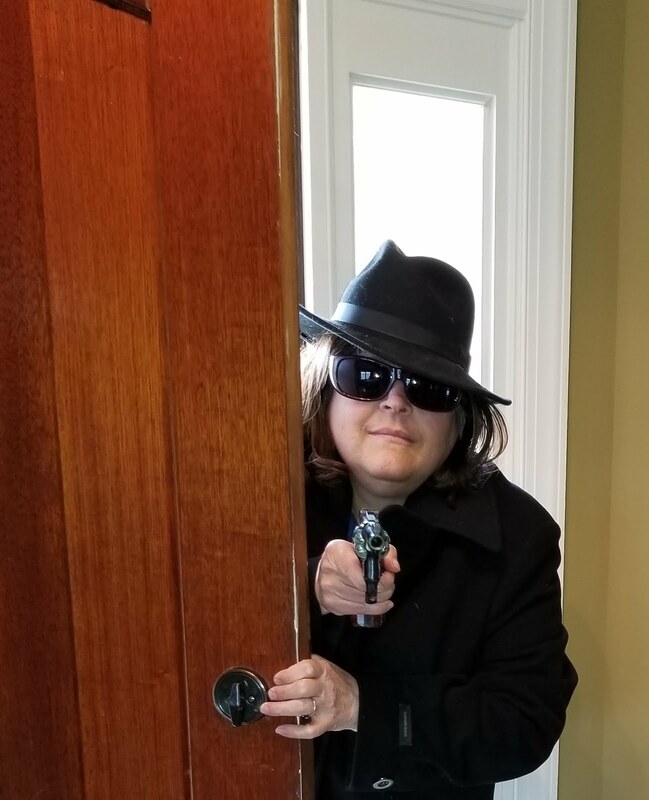 In each of your books, we learn through the “eyes” of a character, the identity of the killer, so your books aren’t true “who dunnits.” The reader follows the protagonist’s investigation to see how the killer is caught. Is the investigation the most important part of a mystery to you? EV: I like the suspense and the element of danger more than the puzzle. I want the characters to be emotionally involved in solving it. They need to have a personal stake in the outcome. Kate, in HR, has connected with one of the victims and can’t let it go. Then it gets closer to home and she’s compelled to act. In TP, Elliott is also personally involved. He’s a lonely young man who’s latched onto the victim, so when he witnesses her murder, it’s very personal for him. EBD: I understand that you’ve had another manuscript accepted for publication. Can you tell us the title, give us the hook, and tell us when the book will be released? Who is the publisher? EV: YES! YES! I have. I’m so excited about it. The book is COLD COMFORT, romantic suspense, and Echelon Press will be publishing it this year. I don’t have a release date, but soon I hope. EBD: Any new WIPs in progress? EV: Always. I’m working on another romantic suspense, but this one has a touch of paranormal, much as in HR. The heroine is the cousin of Kate in HR. Kate’s gift came through touch, and this time it comes through art. EBD: What writers’ conferences do you attend? Do you think they are worthwhile? EV: Conferences are very nice and I enjoy them, but with the Internet opportunities available now, you can get by with fewer personal contacts. The value is in meeting people. Unless you’re a big name or have a hot property, you’re not likely to sell enough books to pay for more than a meal or two. 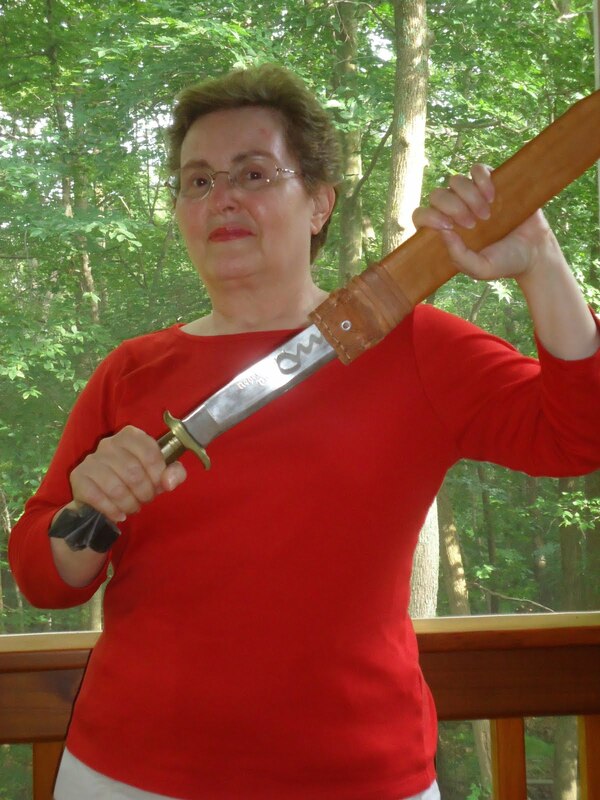 I’ve been to Malice and Cape Fear, and several workshops and book festivals. I also went to one Bouchercon, but it was overwhelming. If I’d had more experience, it would have been better. 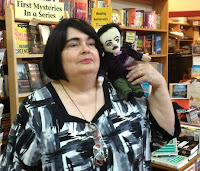 Ellis is an award winning author who blogs at The Munpredictable Muse and her website is http://www.ellisvidler.com/. I enjoyed reading Haunting Refrain and The Peeper. Haunting Refrain had an element of paranormal, which I loved. Both books contain an underlying sense of humor that shows the characters’ intelligence and sensibilities. Buy her books at Amazon and be on the lookout for COLD COMFORT.